article on collecting that table top dust pls let me know. During firewood season that saw will run 4 hrs aday and that a lot of dust not only sweeping up all the spillage. thanks. Four hours a day!!? Sounds like you really need a splitter. 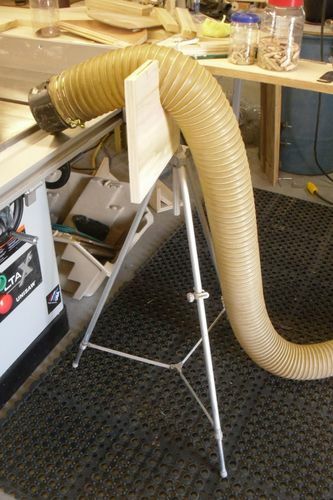 That should cut your time down to 4 hours a week at most (maybe 4 hours a month) AND eliminate your sawdust problem. Edit: The link above is not an endorsement of brand…it’s just the first one on the search results. There are a bunch of other brands on Amazon, for example, for about the same price so you’ll want to research to find the best deal. Yeah, you need a splitter.